UW’s Mike Hopkins believes in the Pac-12. With 3 teams in the Big Dance, can they prove him right? 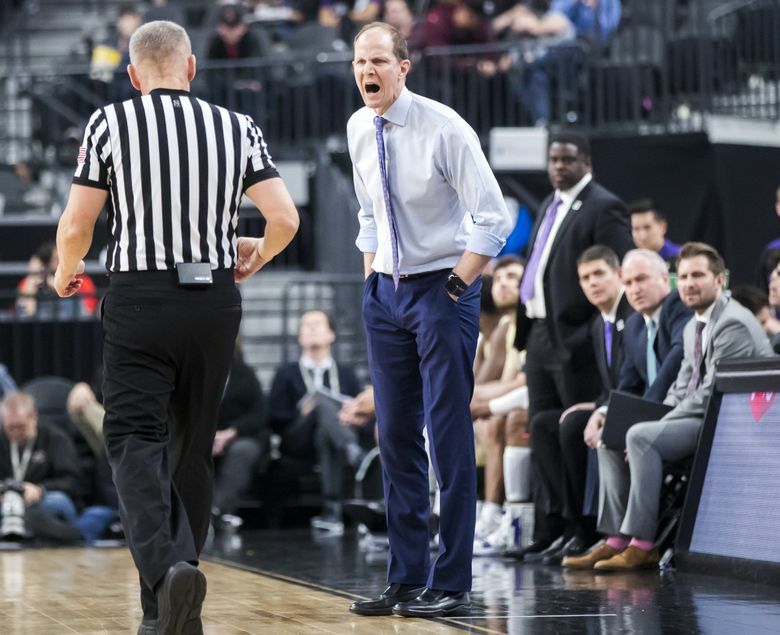 The disappointment on Huskies coach Mike Hopkins’ face was as genuine as that of his players. That they had won the Pac-12 regular-season title, and were a virtual lock for their first NCAA tournament appearance in eight years were inconsequential in that moment. Oregon had just beaten Washington in the finals of the Pac-12 tournament, and the postgame atmosphere was much more bleak than it was blissful. But the loss did do one nice thing for Hopkins: It increased his chances to say “I told you so” by 50 percent. Hopkins has repeatedly admitted frustration regarding the Pac-12’s national perception. He used to comb through various online opinions before realizing that only led to stress. “We play in one of the best leagues in the country despite what some media think,” Hopkins said before the Pac-12 tourney. And now there are three teams that can help prove him right. A few weeks ago, the idea of the Pac-12 sending three teams to the NCAAs seemed laughable. Aside from Arizona State’s wins over Kansas and Xavier, there wasn’t a signature victory from any other team in the league. Combine that with the three Pac-12 representatives going 0-3 in last year’s Dance — when 11 seeds Arizona State and UCLA lost in their play-in games, and fourth-seeded Arizona fell by 21 to a Buffalo team that fell by 20 in its next game — and the disrespect seems valid. But Hopkins challenges that. He’ll point to Arizona State going undefeated during its nonconference schedule last year, rising to No. 2 in the country shortly after beating Kansas, and finishing ninth in the conference. How can a league that gave those Sun Devils 10 losses not be good? Hopkins will ask. He’ll point to how his Huskies also beat Kansas last year — a Jayhawks team that, mind you, made the Final Four as a No. 1 seed. He’ll bring up the two-point loss to Gonzaga in Spokane last December, when half the country was asleep as the No. 1 Zags hit a last-second jumper to secure the victory. He’ll mention how Oregon’s Louis King was out when the Ducks lost to Houston and Texas Southern, and how teams in the Pac-12 have noticeably improved. And that’s been the problem. Good as Arizona State might have seemed at one point last year, it still lost to another 11 seed in the tournament. Disrespected as Arizona may have felt by getting a four seed last year, it still got blown out by a 13 seed. And impressive as Washington may have been against Gonzaga in December, it lost — just as it did to Auburn and Virginia Tech. Colorado Chancellor Philip DiStefano, who serves as the chair of the Pac-12 CEO group, confessed there has been a downturn in the conference’s revenue sports of late. But he added that these things can be “cyclical,” which is true. According to 247sports.com, Arizona has the top-ranked recruiting class for basketball coming in, followed by USC at No. 4, Oregon at No. 11 and Washington at No. 21. And remember, Arizona was a No. 1 seed in the 2014 NCAA tournament, a No. 2 seed in 2015 and a No. 2 seed in 2017. Oregon, meanwhile, was a No. 1 seed in 2016 and No. 3 seed that went to the Final Four the year before. It wasn’t long ago where other teams feared Pac-12 programs and the rest of the country respected them. That’s not how it is now, though. Sunday, the selection committee gave the Huskies an eight seed, Arizona State an 11 and Oregon a 12. They obviously don’t think much of the conference, and that’s probably justified. But this also gives the Pac-12 an opportunity. There isn’t any pressure. Lose, and that’s what everybody expects. Win, and you shock the nation. You wouldn’t shock Hopkins, though. He’d just say that everyone is discovering what he knew the whole time.